(AYRIAL TalkTime) Victoria talks with author and light body worker Margaret Harrell about dream interpretation, meditation and her legacy memoir book series, Keep This Quiet; Initiations! In a previous interview, Victoria talks with Margaret Harrell about her intimate experiences with Hunter S. Thompson, founder of “gonzo journalism,” along with highlights from her book, a memoir series; Keep This Quiet! [/title]Margaret Harrell is a three-time fellow of MacDowell Colony who has most recently been authoring the memoir series: Keep This Quiet! : My Relationship with Hunter S. Thompson, Milton Klonsky, and Jan Mensaert; Keep THIS Quiet Too! 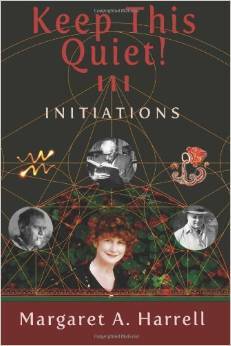 : More Adventures with Hunter S. Thompson, Milton Klonsky, Jan Mensaert; and Keep This Quiet!” III: “Initiations.” A free-lance editor, she was Hunter Thompson’s copy editor for Hell’s Angels. She teaches light body meditation studies in the DaBen and Orin school of LuminEssence, which explore the dynamics and potential of ourselves in various translations of our energy. She is also a cloud photographer. Academically, she graduated from Duke University (honors and distinction in history) and Columbia University (contemporary English and American literature). She has studied at the C. G. Jung Institute Zurich and been trained in numerous types of energy work. She lived abroad in North Africa and Europe for lengthy periods, returning to the U.S. to Raleigh, North Carolina, in 2001.